Buddhism in Cambodia can be confirmed historically to date from at least the 5th century CE, while Buddhist chronicles are sometimes interpreted as indicating that it was originally introduced by the Mauryan Emmeror Ashoka the Great during the 3rd century BCE. Currently, Theravada Buddhism is the dominant religion in Cambodia, estimated to be the faith of 95% of the population. The history of Buddhism in Cambodia spans nearly two thousand years, across a number of successive kingdoms and empires. Buddhism entered Cambodia through two different streams. The earliest forms of Buddhism, along with Hindu influences, entered the Funan kingdom with Hindu merchants. In later history, a second stream of Buddhism entered Khmer culture during the Angkor empire when Cambodia absorbed the various Buddhist traditions of the Mon kingdoms of Dvaravati and Haripunchai. For the first thousand years of Khmer history, Cambodia was ruled by a series of Hindu kings with an occasional Buddhist king, such as Jayavarman of Funan, and Suryvarman I. A variety of Buddhist traditions co-existed peacefully throughout Cambodian lands, under the tolerant auspices of Hindu kings the neighboring Mon-Theravada kingdoms. The Buddhist monks of the region were learned, and in the fifth century some were said to have been invited to China to translate Buddhist texts from Indian languages to Chinese. In the seventh century, Cambodia had a succession of rulers who patronised Hinduism and suppressed Buddhism. It was not until the ninth century that Buddhism began to receive some royal patronage from the rulers. King Jayavarman VII, who ruled from the end of the twelfth century to the early years of the thirteenth century, was a devout Buddhist. 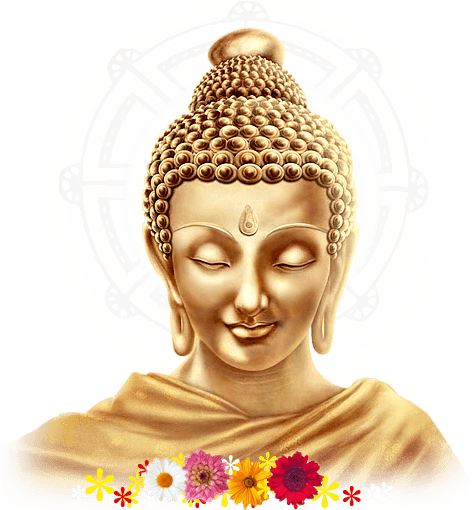 Under him Mahayana Buddhism became for a time the dominant religion of the kingdom. He built the new city of Angkor (called Angkor Thom), in the centre of which was a temple called the Bayon. At the centre of the temple was a huge tower with four human faces carved on it. Surrounding the central tower were other smaller towers also carved with human faces. These faces portray the king as the "Buddha-king". It was also during the reign of Jayavarman VII that Burmese monks began to teach Theravada Buddhism among the common people. The Thais who invaded Cambodia in the fourteenth century also contributed to the spread of Theravada Buddhism. By the middle of the century, Theravada Buddhism had become widely accepted by the Cambodian people. In the centuries that followed, Buddhism continued to be practised by the people of Cambodia. Even when the country came under French colonial rule in the mid-nineteenth century, Buddhism was still being patronised by the kings, though on a reduced scale. After Cambodia had gained independence, some progress was made in Buddhist education and the publication of texts. At present, however, owing to political unrest, the future of Buddhism in Cambodia is uncertain.